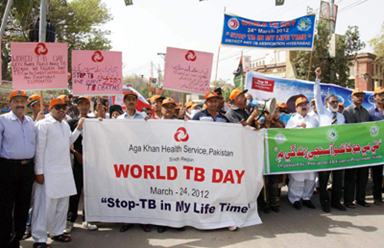 Working through the Global Fund Advocates Network (GFAN), tuberculosis (TB) advocates are looking to strategically advance efforts to combat the disease and take advantage of several key international meetings over the coming 15 months. Two high-profile initiatives were launched late last year, each designed to shore up the response to the global tuberculosis epidemic. The World Health Organization has issued new recommendations for the treatment of multi-drug-resistant TB, involving the use of a regimen that is shorter and cheaper compared to what is currently being used.